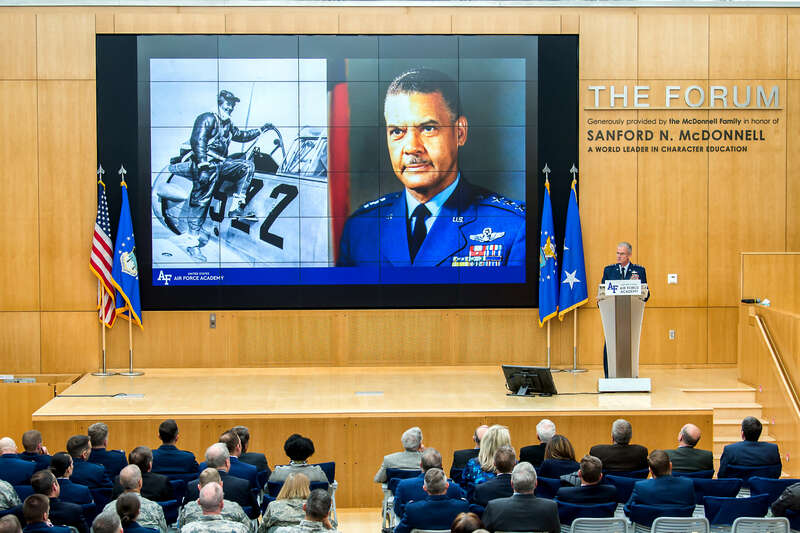 U.S. AIR FORCE ACADEMY, Colo. — The Air Force Academy’s top officer hosted his State of the U.S. Air Force Academy briefing in Polaris Hall, April 12. Lieutenant Gen. Jay Silveria, the Academy’s superintendent, said the annual briefings are among the many ways the Academy communicates with its community and encouraged the audience and those viewing the event online to stay in touch. The Air Force deferred funding to refurbish the chapel as leaders look for ways to secure supplemental funding to repair Tyndall Air Force Base, Florida, and Offutt AFB, Nebraska, in the wake of natural disasters — two of 61 large-scale projects Air Force officials are trying to address.